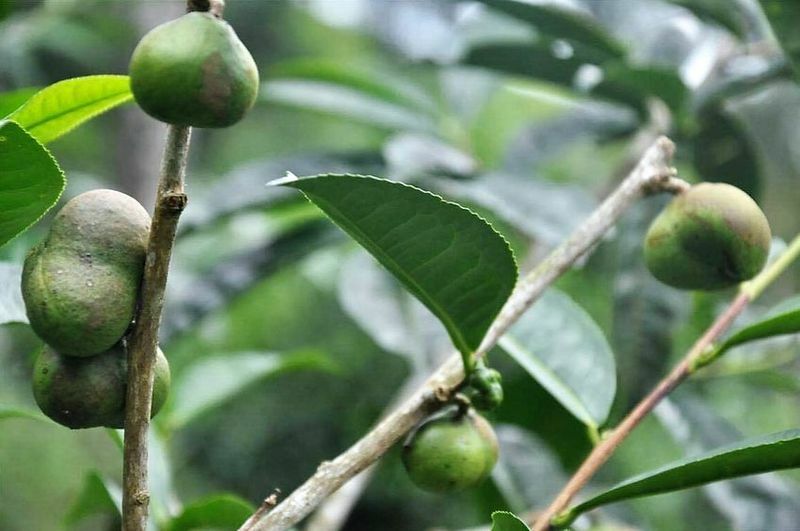 Originally, the Camellia Sinensis comes from Southeast Asia. Its evolutionary “cradle” there comprises the region of present-day China, Myanmar, Laos, Vietnam, northern Thailand, and the northeastern tip of India. In these countries, ancient tea trees grow up to 20 meters high, with up to 15cm long leaves. However, thanks to its adaptability to different “terroirs” (interplay between climate and soil), the tea plant has since “conquered” more regions both in Asia and in the whole world. 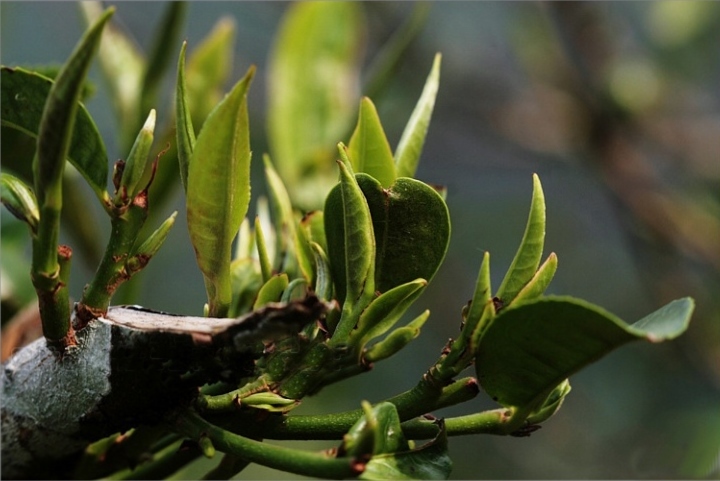 Most of the resulting subspecies of Camellia Sinensis don’t reach tree height, but grow as bushes of different heights. The propagation of the tea plant can take place in two possible ways. One of these is the propagation through the seeds of the tea plant, and the other is through the cultivation of cut-offs, so-called “clones”. Now, advantages of the progagation through cut-offs are the higher number of potential “descendants” and shorter time to picking maturity. However, the method prevalent today in commercial tea cultivation also has disadvantages. So, the roots of the clones grow on a relatively superficial level only. In contrast, the strongly branched roots of tea plants grown from the see reach up to more than 2 meters deep into the soil. It is therefore often said that seed-grown tea plants have a richer supply of active ingredients than clones. In commercial cultivation, in order to maximize accessibility and yield, tea plants are cut back once a year. At this, the exact height of the cut-back depends on a plant’s age and variety. After the cut, the tea plant drives new shoots at the cutting points. This considerably increases the amount of tea leaves eligible for picking – and thus the yield. Both evolution and commercial cultivation were driving motors behind today’s great diversity of tea plant varieties and cultivars. However, it is important to know that any variety will produce a comparable tea, i. e. remain true to itself, only under comparable terroir conditions. Therefore, many teas are “origin-bound”. Good examples for such include Wuyishan rock teas and Hangzhou Long Jing tea, as well as Darjeeling teas. Now, terroir and variety are not the only factors contributing to a specific tea’s identy. What else is responsible for the exact “type” of a tea in your cup and its respective qualities is the topic of My Little Tea School’s next lesson.